You can take the fighter out of the cage, but you can never take the fight out of the fighter. 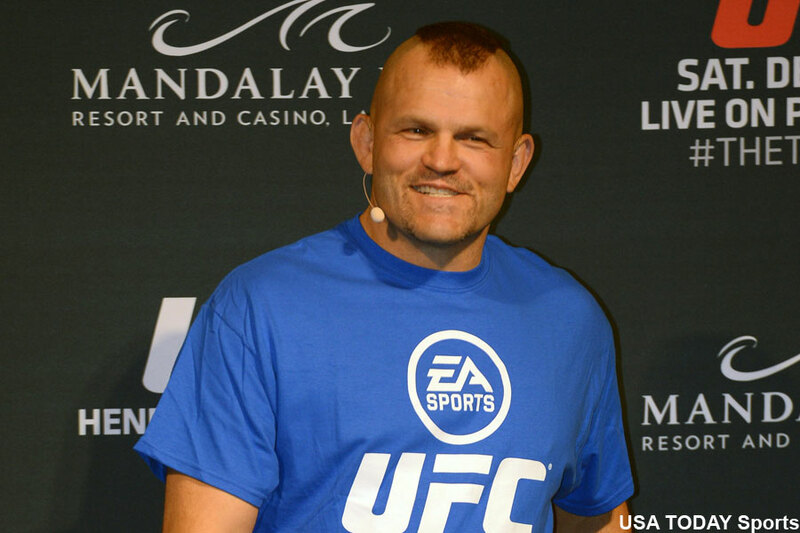 Former UFC light heavyweight champion Chuck Liddell (pictured) appeared on the latest edition of “Inside MMA” to discuss his now-squashed beef with Jon Jones. The tension began a while ago when someone asked Liddell, who retired from MMA in 2010 at the age of 41 after suffering his fifth loss in six outings, if he thought he could take Jones while he was in his prime. Is there any other response beside HELL YES that an intense competitor like Liddell could possibly offer up? That’s understandable. However, Liddell took things a step too far by saying he could beat Jones right now. “The Iceman” must be puffing on the same stuff that Nick Diaz is. While Liddell admits that Jones is a great fighter, he just simply doesn’t like watching him fight because the UFC Hall of Famer believes Jones is more content on cruising to a decision win than posterizing his opponents with a vicious highlight reel finish. “I think he could do more. I think he has more potential,” Liddell assessed of the most decorated light heavyweight champ in UFC history. Liddell then retells their run-in earlier this month at UFC 196. Jones approached Liddell in an attempt to clear the air, which Liddell was receptive to, but it still appears Liddell is ready to go if “Bones” wanted some. “The funny thing is we were at [UFC 196] and he came up and he goes, ‘What’s up?’ and he was all hurt. I said, ‘Look, man, if you want to talk trash on me on the Internet, you might want to tag me so I can respond, instead of just talking trash behind my back.’ Not that I really care, because it’s the Internet, it’s social media, people trash talk all over the place. But if you want me to know about it, I don’t follow you, so you’re going to have to send it to me. After smoothing things over, Jones got Liddell to pose for a face-off picture. Man, Liddell looks as intense as ever.